Home to the largest selection of gin in North America, Whitechapel offers a stunning recreation of Victorian London that has be seen to be believed. In the heart of modern San Francisco, Whitechapel whisks you away to another continent and another era altogether, keeping great gin by your side the entire time. 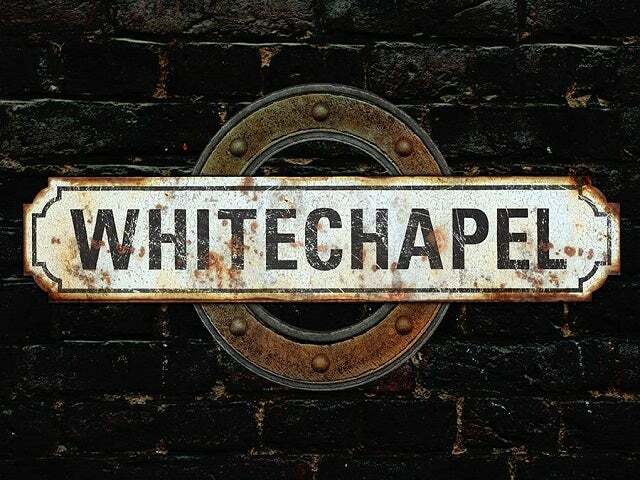 A painstakingly-put-together homage to Victorian London and its gin distilleries, Whitechapel has been meticulously designed to recreate the gritty romance of this era, all in a venue done up to resemble a long-abandoned subterranean London Underground station. The team behind Whitechapel is famous for the cocktail bar prowess in San Francisco, and this venue keeps their esteemed reputation in the stratosphere with more gin than any other bar in North America, a spellbinding assortment of ways to enjoy them, and an attention-to-detail decor more reminiscent of a vintage movie studio than bar. Your odyssey begins the moment you enter Whitechapel and spot the barrel-arched ceiling and authentic British green-and-white tiles on the walls – just like the ones that used to line the London Underground stations. No expense has been spared in an effort for authenticity, and astute patrons will also notice weathered artisan iron fittings, old train schedules, and even a ‘last call bell’ produced by the famous Whitechapel Bell Foundry in London, that all help complete your journey back to Britain. Naturally, the gin cocktails on offer are spectacular, with over one hundred concoctions available. Nearly all varieties of gin and jenever in the world are represented on the cocktail menu, mixed both creatively and classically, and then presented gorgeously.